Priced below market value, with an option to buy the furniture! Make this home your turn-key furnished oasis! This Arielle Carriage home is spacious, clean and move-in ready with a lake view, three bedrooms, two baths and a large two car garage. The unit boasts of a formal dining room, family room, eat-in kitchen area, and living room! It's a spacious, bright and functional floor plan. The lake can be seen from the kitchen, breakfast room, living room and master suite. There's an inside utility room too. The screened, covered lanai opens to the living room and family room adding entertainment space for you. The master bedroom features a view of the lake, access to the lanai, two large walk-in closets, private master bath with corner tub, dual vanity sinks, shower, and private water closet. The second and third bedrooms are located toward the front of this split floor plan and they have direct access to second bath. 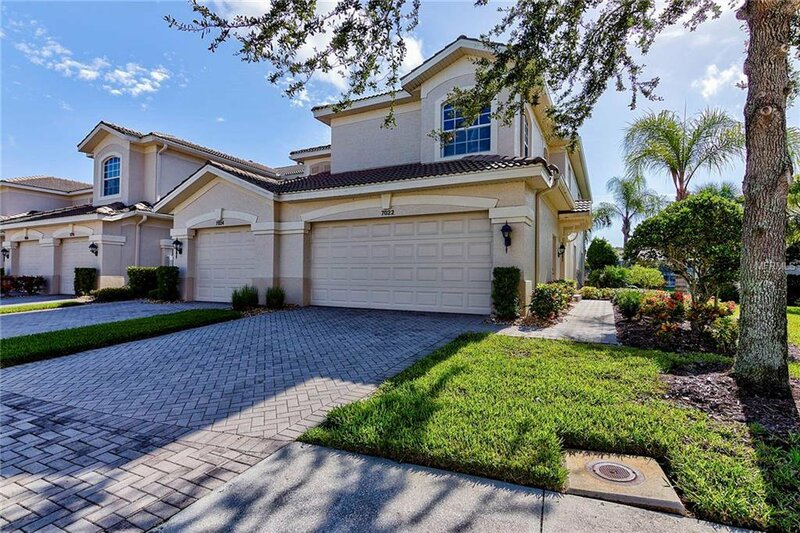 Arielle on Palmer Ranch is perfectly located in Sarasota with easy access to the Legacy Trail, Culver House Nature park and TPC Prestancia Championship golf course. Nearby are restaurants, movie theaters, shopping (including Costco), some of America’s best beaches, a public library and a YMCA. The community features include: Gated community w/ deed restrictions, irrigation with reclaimed water, maintenance-free grounds keeping, a community heated pool & spa with cabana and gas grills. Conveniently located within a few minutes to I-75 via St Rt 72, or down to Tamiami Trail. Listing courtesy of KELLER WILLIAMS REALTY SELECT. Selling Office: KELLER WILLIAMS ON THE WATER.